In early August the well known German YACHT magazine worked out a huge test event at the Baltic sea. The goal was to find out which AIS MOB device is the best on the market available. With very successful 88 from 100 possible points the AIS MOB easyONE from German Weatherdock AG gets the TOP grade of this challenge. AIS MOB emergency transmitter can make the difference between saving or losing a life at sea. The current GPS position of the victim will be updated every minute and broadcasted to every AIS receiver system in the vicinity of up to 10 nautical miles and more. The transmitted data also include course and speed over ground of the victim in the current. 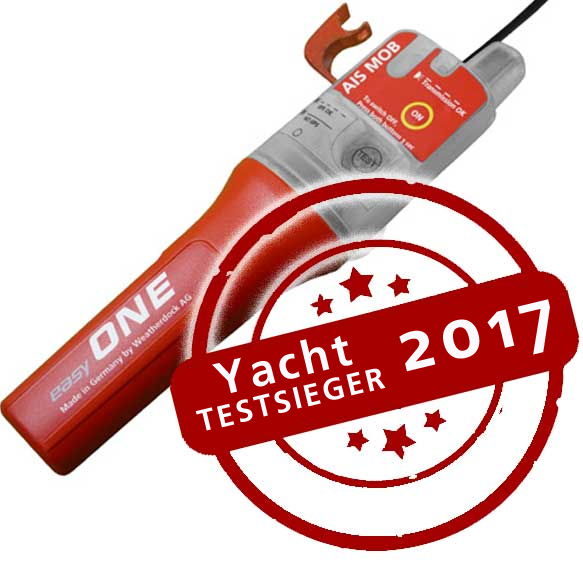 Weatherdock AG is proud to be the winner of this competition in front of other manufactures and we take this first place as an incentive to keep on working hard to realize the best products possible.